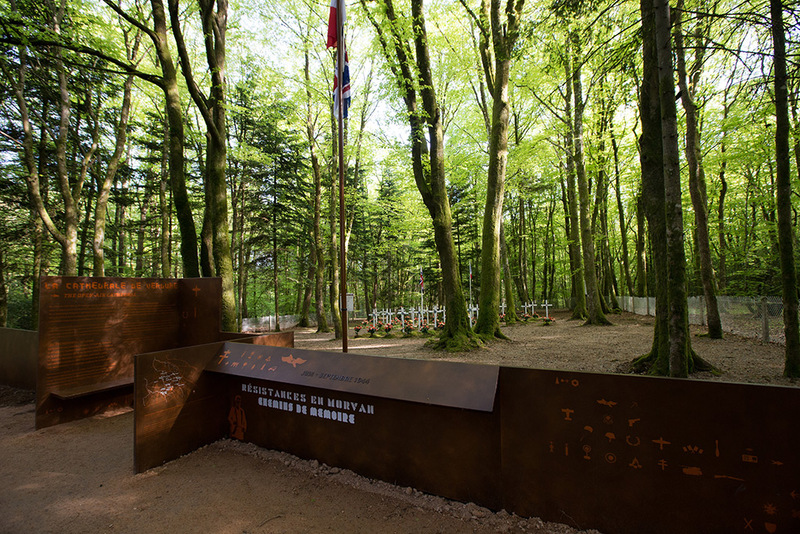 During the summer of 1944, the Morvan held a strategic role in the liberation of the country and became one of the nerve centres of the French Resistance. The organised, armed maquis were supported in certain sectors by the SAS, the British Special Forces, who parachuted into the Morvan. In the course of fighting, men and women, French and foreign, involved in this fight against Nazism and Vichy, had to face up to the possibility of death. 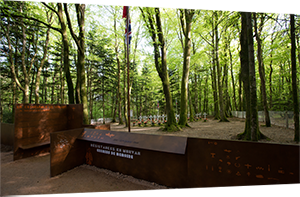 The Maquis Bernard, based in this forest, constructed this military cemetery in order to lay to rest the bodies of the combatants, victims of the fighting to liberate France.